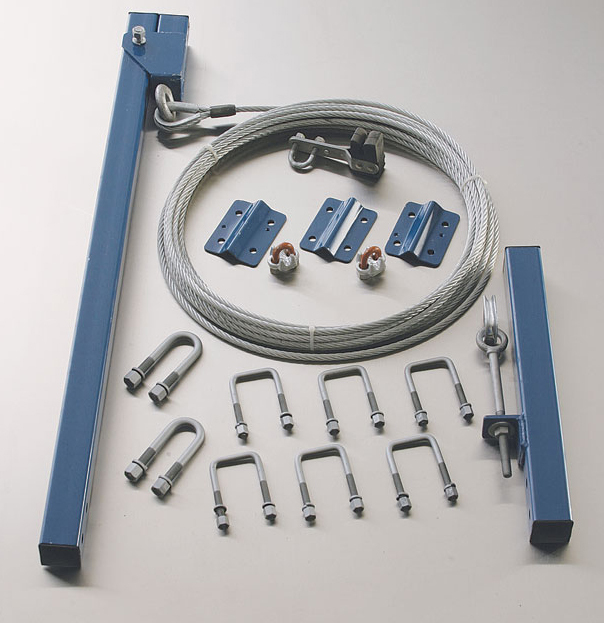 The safety system features sealed anchor head, adjustable clamp brackets, H.D. steel square tubing supports, cable stand-off (every 30 ft.), 3/8” dia. Stainless Steel wire rope. 60’ reach and lower eye bolt Adjust tension. Cable safety climb system 60’ Stainless Steel cable.